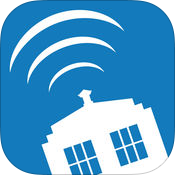 WhoNews brings you the latest news from all your favourite Doctor Who websites in one easy to use application on your iPhone, iPad or iPod Touch. Click the App Store image to purchase. 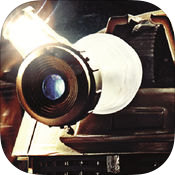 One universal app for iPhone, iPad and iPod Touch download/buy once and use on all your devices. 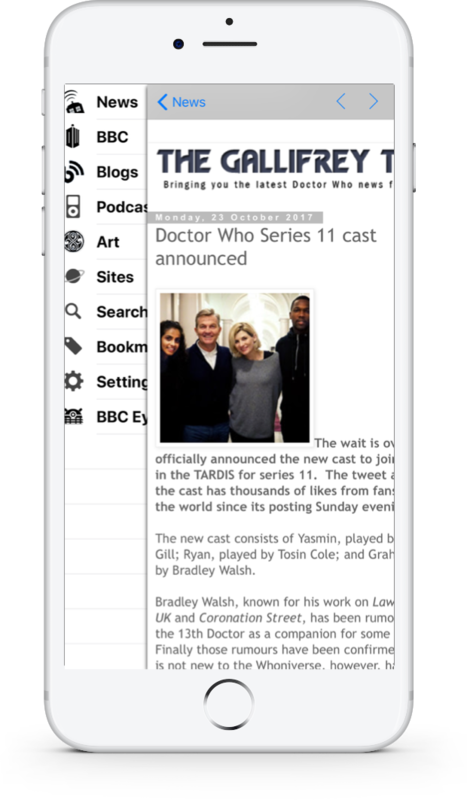 Push notifications of the latest news, blog and podcast updates. Off-line browsing - read the latest news at your leisure. News is downloaded in bulk from over 140 sites. A resilient server compiles the latest news every 15 minutes ready to be downloaded by WhoNews. 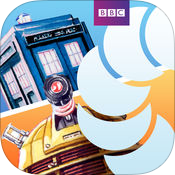 Merchandise Search, the cheapest Doctor Who, Torchwood and Sarah Jane Adventures DVD/Blu ray prices in the UK from your favourite internet stores.